Although there is growing interest from governments in participation levels in sport, the extent to which governments actively promote ‘sport for all’ and their motives for doing so vary greatly. 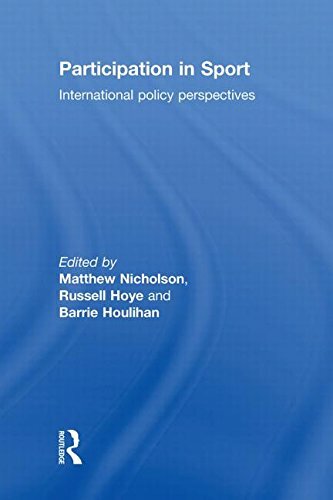 This is the first book to examine the sport participation policies of national governments across the world and to offer a comparative analysis of the motives for, and successes and failures of those policies. the impact of government policy. With contributions from many of the world’s leading experts on sport policy and sport development, this book is essential reading for anybody with an interest in the role of governments in relation to supporting and regulating their citizens’ involvement in sport. Participation in Sport Examines the sport participation policies of national governments across the world. This book offers a comparative analysis of the motives for, and successes and failures of those policies.